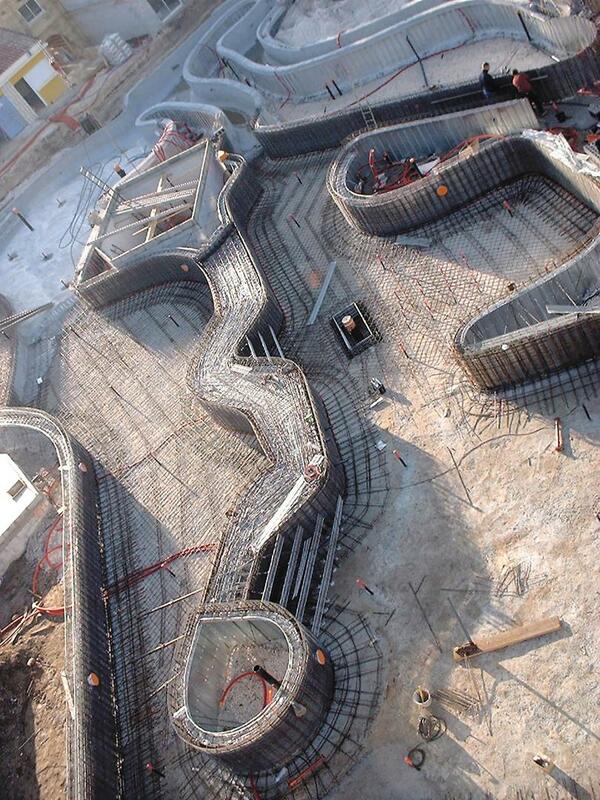 Formwork is a construction method used for concrete pools. 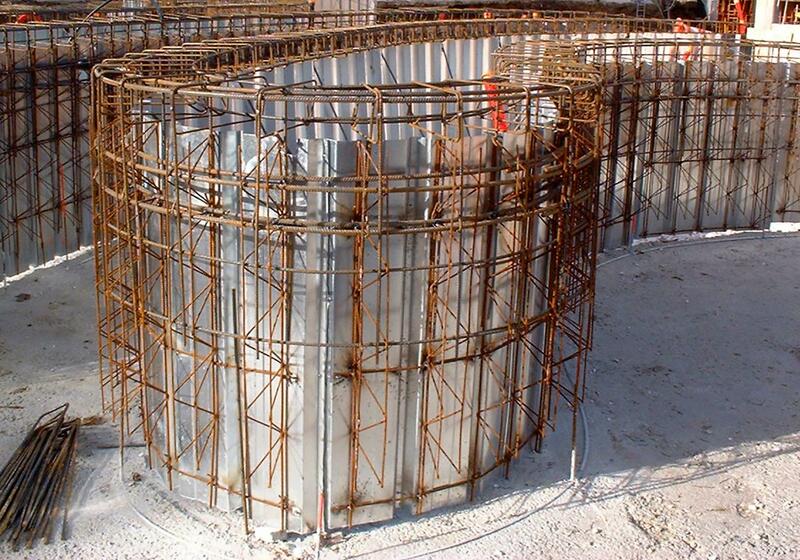 The making for the formwork allows pouring the structure without any concrete bursts. This way, a solid, durable structure can be obtained, which is also completely flexible to any shape, thanks to the use of a system of galvanized sheet metal. 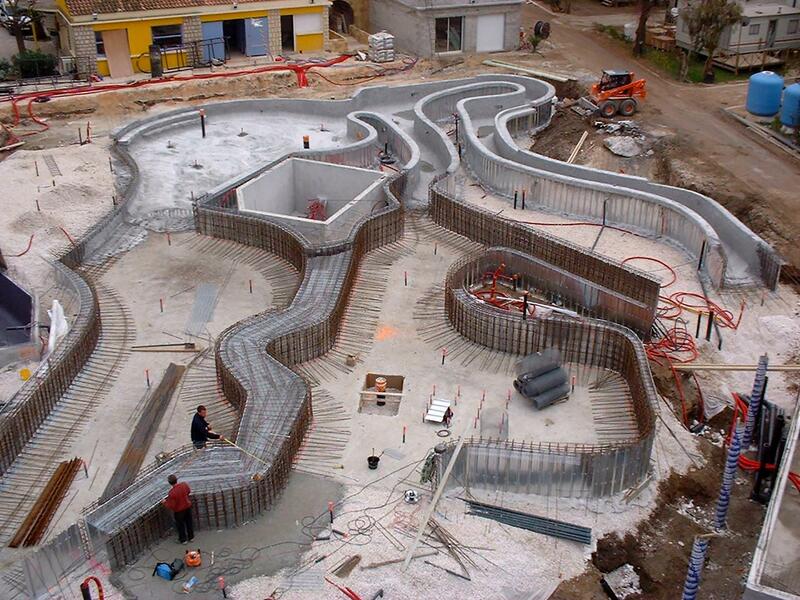 Inside this formwork takes place the entirely monolithic reinforcement of the work. 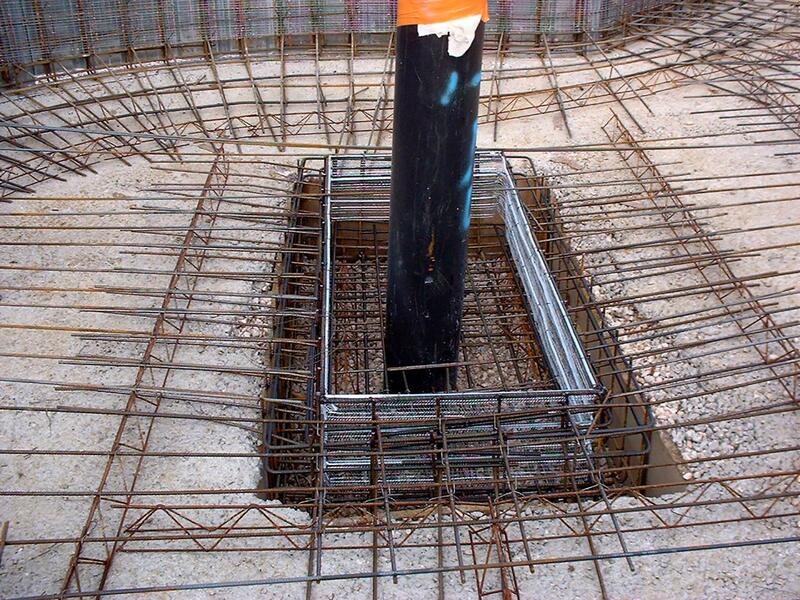 The reinforcement is done after research, by using 8, 10 or 12 mm twisted steel bars. 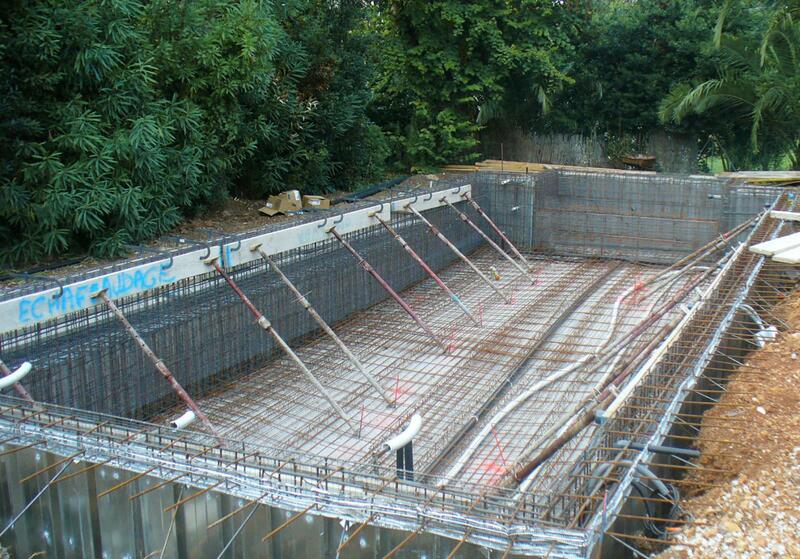 A wall tie surrounds the pool. Gussets and frames are used to link aprons and walls. 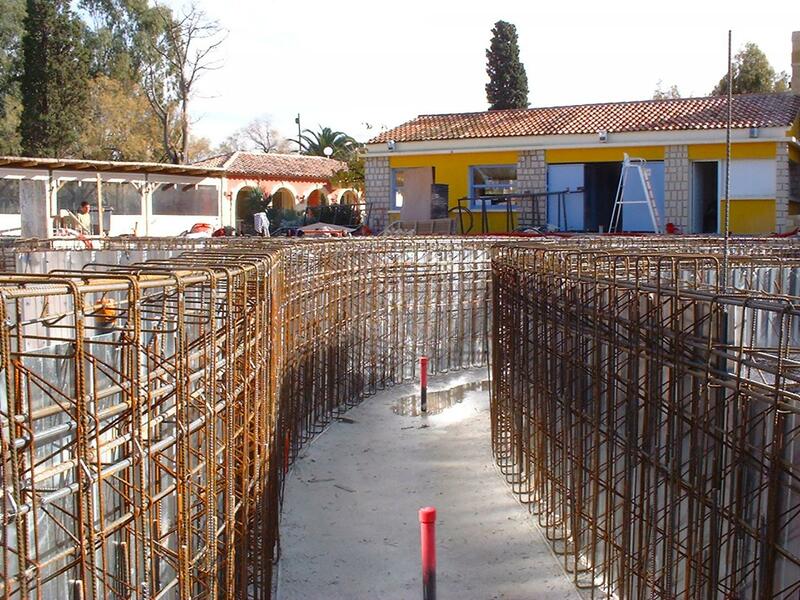 Before pouring the concrete, accurate diameters will guarantee the thickness of the walls, the coating of the steel and the verticality of the walls.